Lois Steinerg, Ph.D., is one of the world’s most experienced yoga instructors awarded the Advanced 2 certification by B.K.S. Iyengar himself. Her 35 years of extensive studentship with the Iyengars includes annual participation in the general and medical classes at the Ramamani Iyengar Memorial Yoga Institute in Pune. Lois’ teaching is infused with enthusiasm to share the knowledge and acumen that have come through her sustained practice and study of the tremendous work of BKS Iyengar and his family. 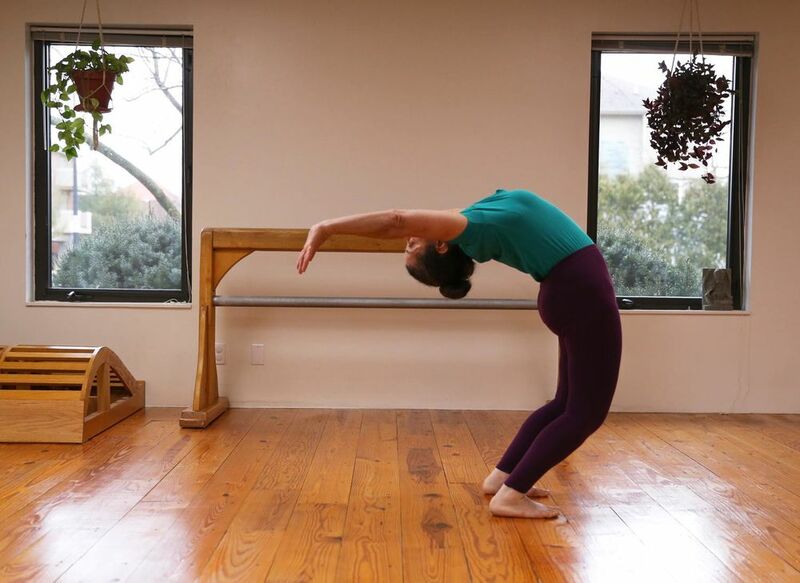 She strives to emphasize and exemplify whole-body transformation through the joy of regular immersion in practice. As a teacher, she is direct, dynamic, clear, focused, engaging, gently humorous, and an invaluable resource for understanding the healing potential of yoga. As a teacher of teachers, a hands-on mentoring approach is the focus of her IYCU teacher education program. In December 1982, I made my first yearlong trip to the Ramamani Iyengar Memorial Yoga Institute (RIMYI) in Pune, India. On the very first day of class, trying to hide from BKS Iyengar’s intensity, I placed myself in the back of the room, then felt a bolt of lightning on my arm. Guruji, as he is affectionately called, moved me to the front row, dead center. As he instructed to jump the legs apart in preparation for standing postures, I was lost in thought of the man on the platform, no longer just a picture in a book. He boomed, “You! You are a beginner! You are looking up at the ceiling, instead of down into your soul!” It took me ten years to look up again. That year, I was also very fortunate to assist in RIMYI’s medical classes. While learning how to work with the students in these classes, Guruji corrected my teaching. “Use less words!” he exclaimed. I received a great whack on the back of my neck when he observed me allowing the students to move on when they hadn’t yet learned a point I was instructing. That day I learned to follow through with my teaching, and instruct and inspire students to do the same. I have since made annual and extended journeys to study with the Iyengars in Pune. Upon returning to Champaign-Urbana from that year of study in India, I began graduate school in Nutritional Sciences, continued teaching yoga in the community, and received an assistantship to teach yoga to undergraduate and graduate students. During a nine year period, I instructed over 3000 students, who were all required to evaluate me. This feedback was instructive and constructive, and I received excellent ratings from the students nine years in a row. I completed my doctoral degree in 1992, and worked in academics for one year until retiring from it, to focus more fully on yoga. In 1999, Guruji awarded me an Advanced Junior 1 teaching certificate and granted permission to use his name for my center, the Iyengar Yoga Institute of Champaign-Urbana (Illinois). Geeta S. Iyengar, Guruji’s daughter and accomplished yoga master, visited Champaign-Urbana in 2001. She blessed our center, taught, and lectured there to students. In 2009, Guruji upgraded my certification level to Advanced Junior 2. After 33 years he stated, “You are a very good practitioner!” Still, his next comments directed me towards room for my improvement. He is a Bhakti Yogacharya, a pure devoted preceptor who never stops giving and never gives up.